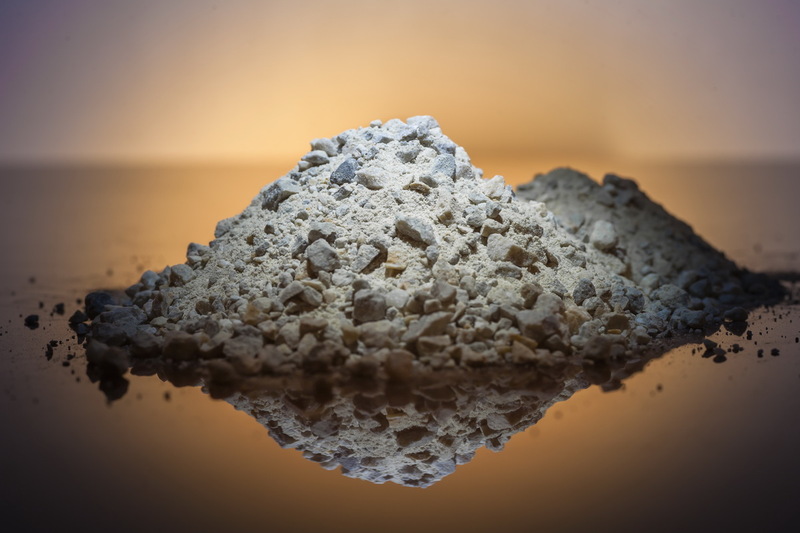 Ceramics FGw Ceramics Grade Ceramics Grade Mixed Feldspar Provides the alumina component, which helps improve hardness, durability, modulas of rupture and other critical mechanical properties in all ceramic products. Provides a higher total alkali contribution to help stabilisation over a wide firing range. Also suitable for glazes and high-whiteness porcelain bodies. TAST Ceramics Grade Sodium Feldspar Provides alumina component for ceramic products. Reduces the melting point of ceramics. It is ideal for tiles, sanitary ware and dark-coloured ceramics. 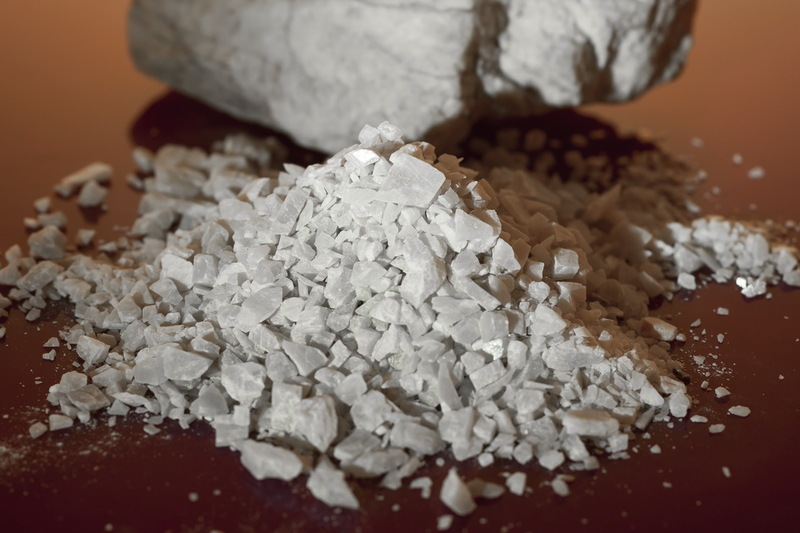 TALF Ceramics Grade Sodium Feldspar Reduces the melting point of ceramics. Especially effective in providing whiteness. It is ideal for the body of granito tiles. KCG Ceramics Grade Potassium Feldspar Provides potassium and alumina components, which improves hardness, durability, modulas of rupture and other critical mechanical properties in all ceramic products. Provides a higher total alkali contribution to help stabilisation over a wide firing range. Also suitable for glazes and a high-whiteness porcelain body. Glass FS Glass Grade Sodium Feldspar Provides alumina and alkaline components for glass products. Improves both the thermal and chemical durability, while also increases resistence to breaking and scratching. FM Glass Grade Mixed Feldspar Provides alumina and alkaline components for glass products. Improves both the thermal and chemical durability, while also increases resistence to breaking and scratching. 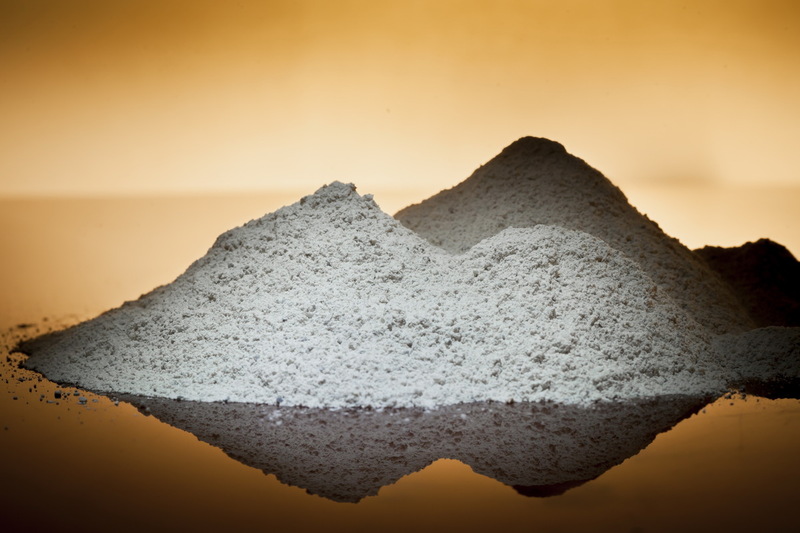 Dolomite Reduces the melting point for ceramic products, while also provides low iron content. It is ideal for high-whiteness glazes, as well as a lightweight ceramic body (Dolomite body). Dolomite Reduces the melting point for glass products. Increases performance of the forming process. Dolomite Reduces the melting point for glass products. Increases performance of the forming process. Low iron content is key for creating high-transparency in glass products. Silica Sand Reduces shrinkage of product during firing process, while also increases the glossiness of the glaze. Strengthens the body of ceramics. In ceramic formulation, CPS is also related to the coefficient of expansion and texture of the glaze and body. 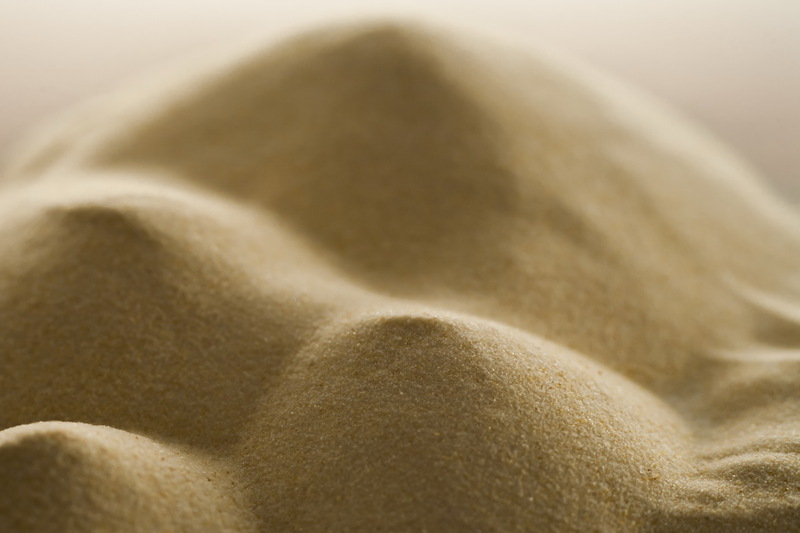 Silica Sand Reduces shrinkage during drying. Increases shinning. Increases performance of glass manufacturing. 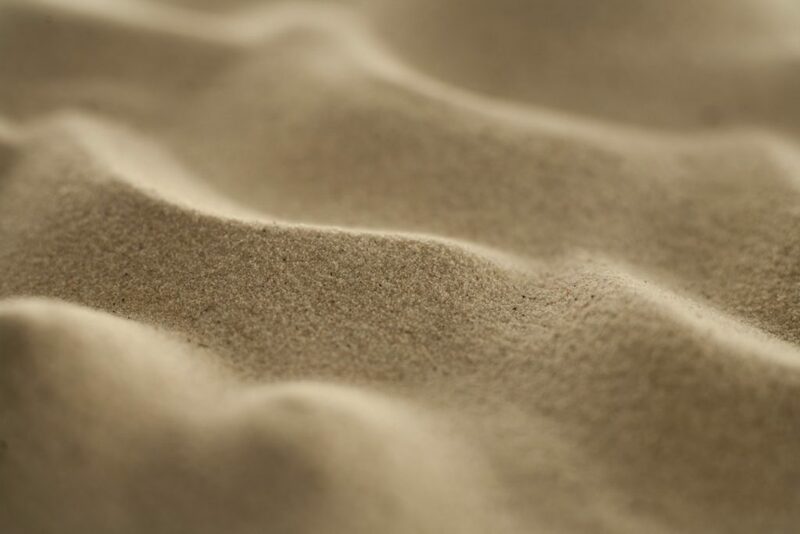 Silica Sand Reduces shrinkage during drying. Increases shinning. Increases performance of glass manufacturing. Low iron content is key for creating high-transparency in glass products. Quartz Provides high-grade pure silica. Suitable for glazes and high-whiteness ceramic bodies. In ceramic formulation, QG is also related to the coefficient of expansion and texture of the glaze and body. 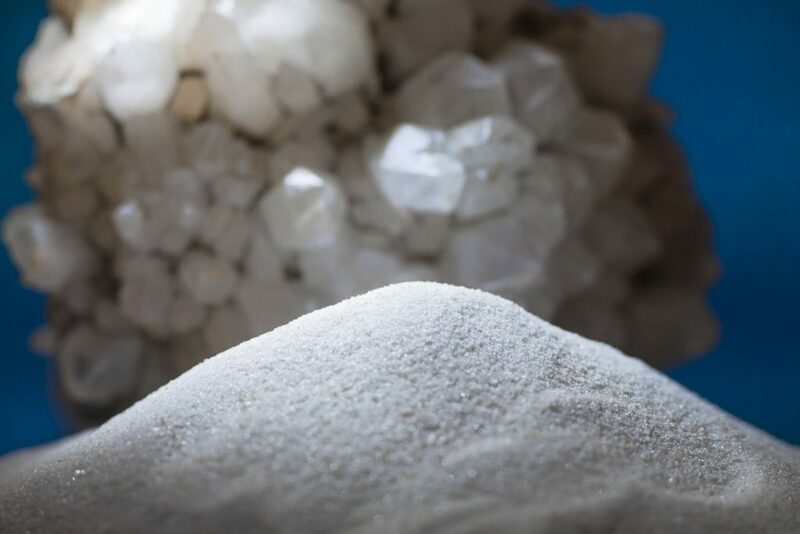 Glass soda ash Particle Size Uniformity - ANSAC's dense soda ash is closely and consistently matched to sand grain size resulting in a homogenous sand/soda ash mix in the glass furnance. This provides predictable, controllable viscosity resulting in a final glass product that is free from distortion. 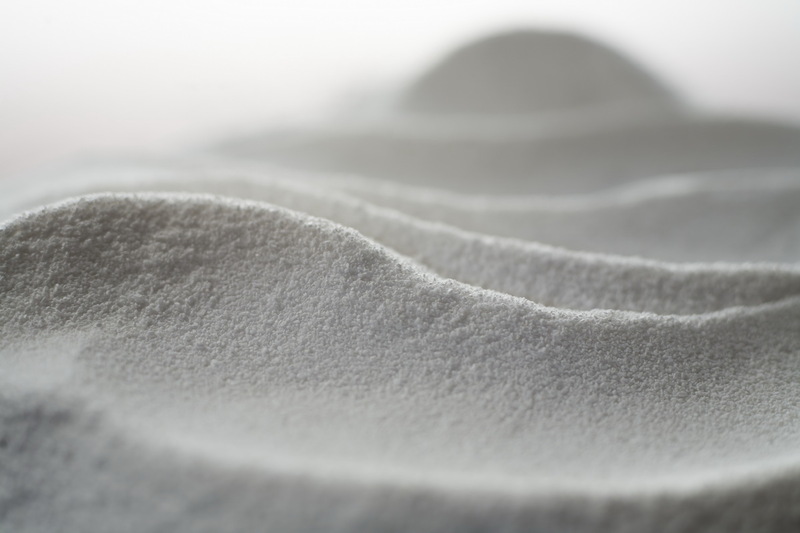 Fewer Issues with Soda Ash Fines - Because 97% of ANSAC Dense Soda Ash particles are 75 microns or larger, users will enjoy a more homogenous sand/soda ash mix. This actually saves money since fewer soda ash fines will be blown off and lost during production. In addition, furnace life may be extended since liquid soda ash particles, which dissolve refractories, are minimized in the gas stream. Finally, the narrow distribution of particle sizes, combined with low fines, result in less dusting and easier handling of the product. Lower Chloride and Iron Levels - Chloride impurities in soda ash are harmful to the environment and to the life span of the molds and furnaces involved in glass manufacturing. The low chloride values of ANSAC dense soda result in less air pollution. Additionally, by producing lower exhaust temperature during glass manufacture, furnace and mold life is extended. ANSAC dense soda ash also has relatively low levels of iron. This enables glass manufacturers to utilize cheaper, high iron sand while continuing to produce a glass that meets their standards for clarity. Detergents and soaps soda ash The addition of soda ash prevents hard water from bonding with detergent, allowing for a more even distribution of the cleaning agent during the washing cycle. Soda ash is also very effective in removing alcohol and grease stains from clothing. Chemicals soda ash Soda ash is an acknowledged source of sodium ions. It also aides the solubility and reactivity of many inorganic compounds in water. As such, it is used as a major raw material for the economical production of sodium phosphates, sodium silicates, chrome chemicals and photographic chemicals. It is also used in the production of sodium bicarbonate (baking soda), which is an essential ingredient in the beverage, coatings, detergents, food, dialysis, and personal care markets. Feldspar – There are several types of feldspars: most deposits offer sodium feldspar (Na AlSi3O8), potassium feldspar (KAl Si3O8) and mixed feldspars (KAl+Na Si3O8). Feldspar comprises of alkali, alumina, and silica which makes it particularly valuable in many industrial processes. Dolomite – (CaMg) (CO3)2 is a double carbonate of calcium and magnesium. 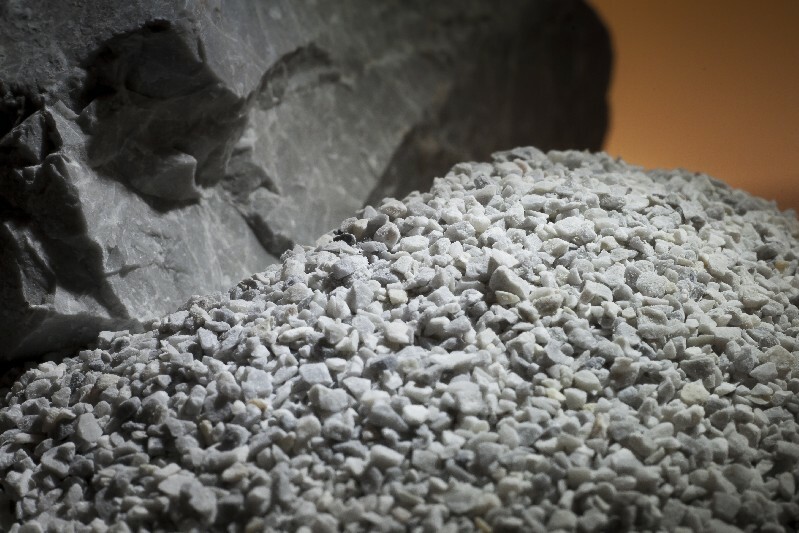 As a mineral, Dolomite shares many of the same properties as limestone and can be used in many industries.